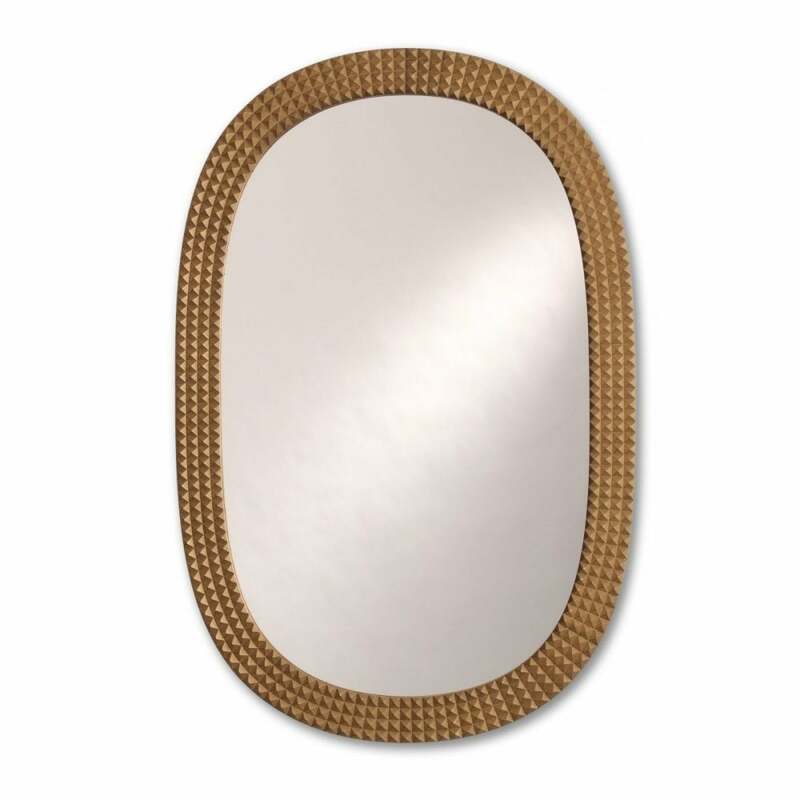 Using traditional craft and modern techniques, the Hardy Mirror from Porta Romana is designed using computer aided software to form the decorative frame. The striking frame is formed from cast composite in an unusual ‘squoval’ shape that gives it a unique style all of its own. Finished in antique gold, the radiant metallic hue accentuates the geometric pattern. Position in a entranceway or reception room and style with Art Deco accents for a sleek look that exudes timeless Hollywood glamour. Hang using the keyhole fixing to the back of the frame. Make an enquiry for more information.